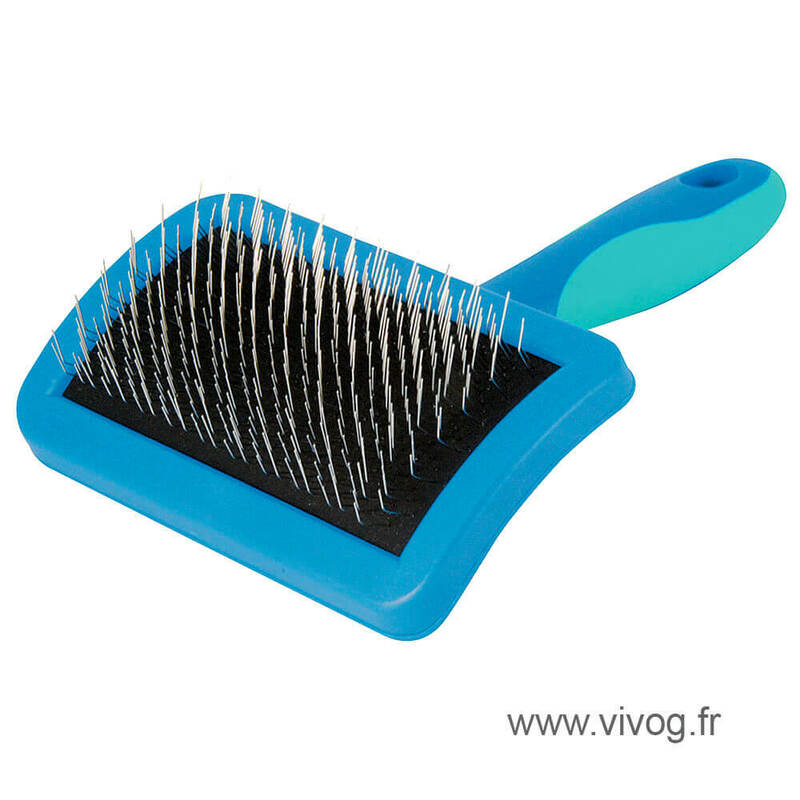 Slicker brush for long fur, wire haired dogs (Terriers and Schnauzers) and curly fur (poodles). What are the characteristics of the slicker brush hard pins Vivog ? How to use the slicker brush ? On long fur. To facilitate brushing, evenly spray the coat with conditioner beforehand. Then, gently and slowly brush concentrating on the body and tail. On wire haired dogs (Terriers and Schnauzers). 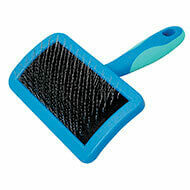 Brush energetically to stimulate the skin and remove dead hairs. Then brush against the direction of hair growth to remove knots. On curly fur (poodles). 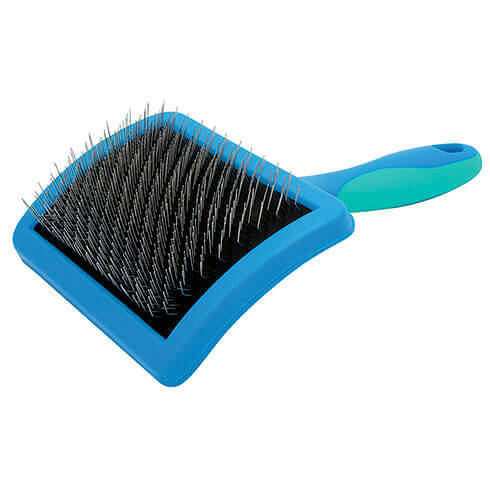 Gentle brushing more often is recommended to prevent the rapid formation of mats.